Olivier Vonk is an external associate with the Maastricht Centre for Citizenship, Migration and Development. Previously, he was a Marie Curie fellow at Maastricht University/Georgetown University (2012-2015) and the University of Liège (2015-2017). Olivier holds a PhD and MSc from the European University Institute and a law degree (European Law School) from Maastricht University. 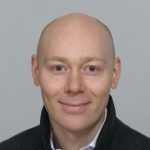 His publications include Dual Nationality in the European Union (Martinus Nijhoff Publishers 2012), Nationality Law in the Western Hemisphere (MNP 2014), and, with René de Groot, International Standards on Nationality Law: Texts, Cases and Materials. He is currently preparing an edited volume entitled Nationality in the Eastern Hemisphere: Acquisition and Loss of Citizenship in Asian Perspective.